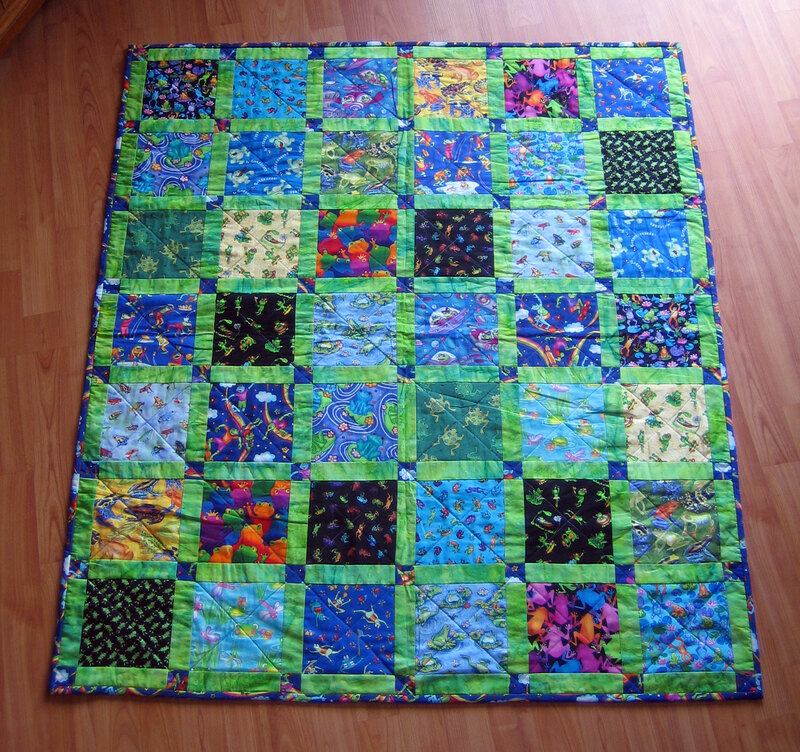 I made this quilt for my nephew. 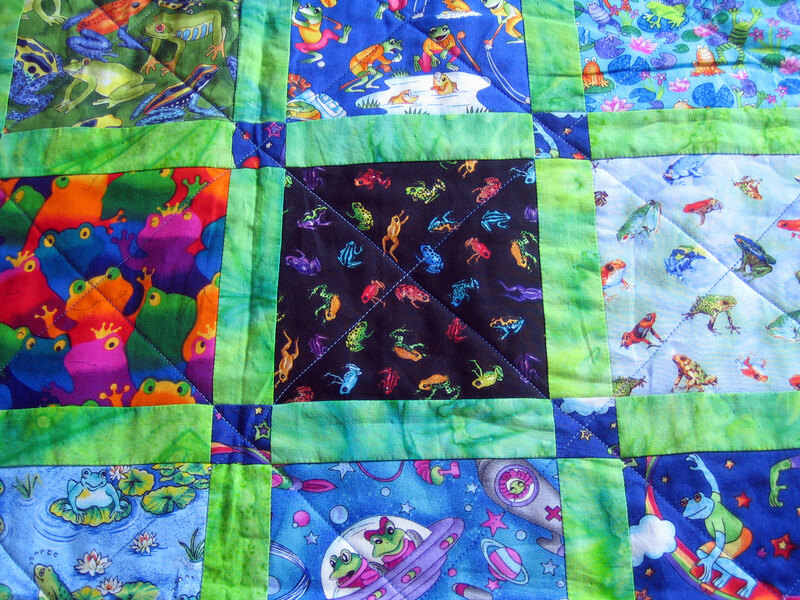 I found a large-sized charm pack of frog prints on ebay, bordered them and sewed the blocks together into a simple grid. I was quite pleased with this one because I managed to find a fabric for the backing and cornerstones where frogs were skateboarding, which is one of my brother’s favorite pastimes.